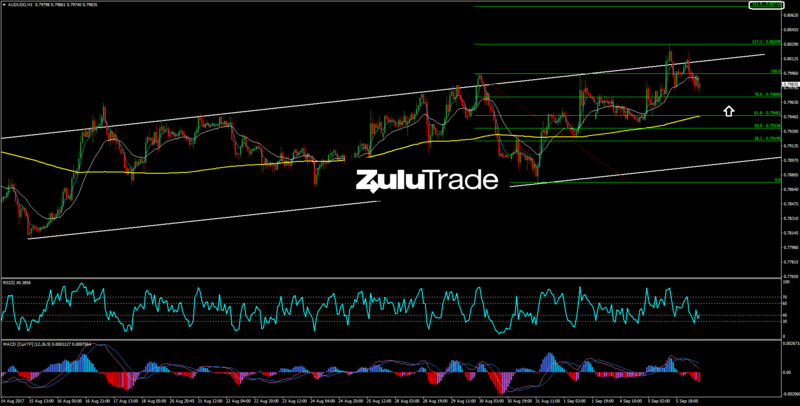 EURUSD continues putting in a series of higher lows and higher highs on the hourly timeframe. The latest Swing Low is at 1.1867 while 200 SMA is still rising. We have noted a supply zone (S1) where sellers may step in and push temporarily price lower. However, if price closes above S1 then buyers will target previous highs +1.20. GBPUSD had an explosive upside more yesterday. 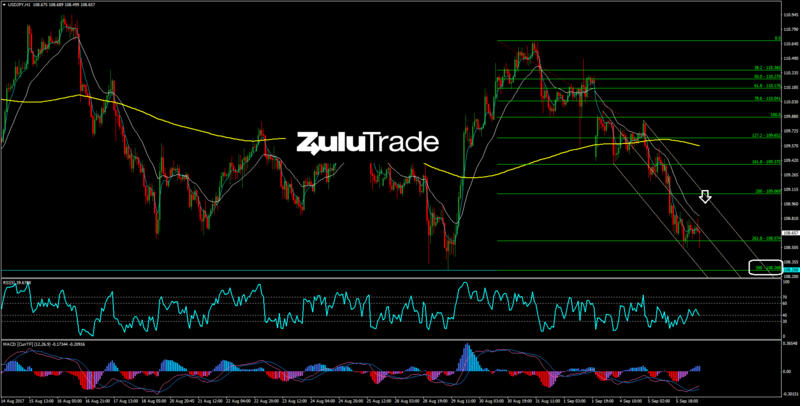 It is currently consolidating above 50% Fibonacci retracement level. Buyers are aiming the 61.8% level where we may expect some selling short-term pressure. In addition, we have noted a decent demand zone close to 1.2964 where buyers may have another buying trade setup. 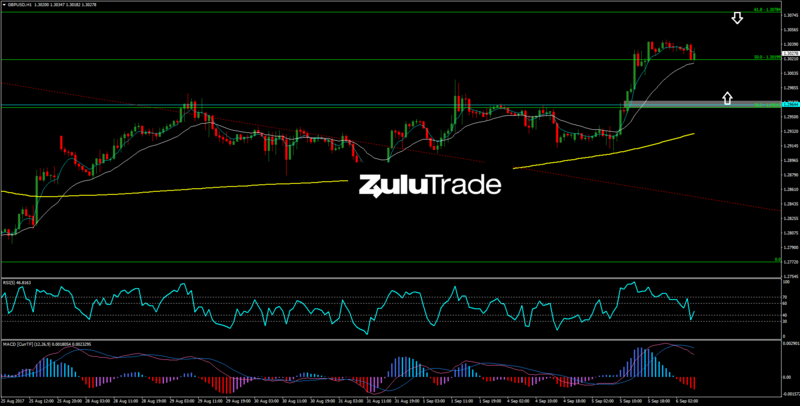 On the other hand, USDJPY slumped to fresh lows and reached the 261.8% Fibonacci extension. The 300% target is still open. As Andrews’ Pitchfork is following the price action, we may have a selling trade setup close to 109.10 level. The bias is bearish. 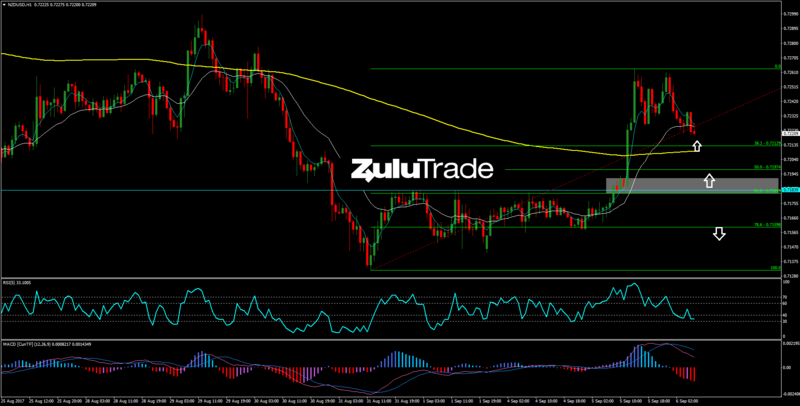 USDCHF had a bearish daily candlestick yesterday and it is currently approaching the 61.8% Fibonacci level. 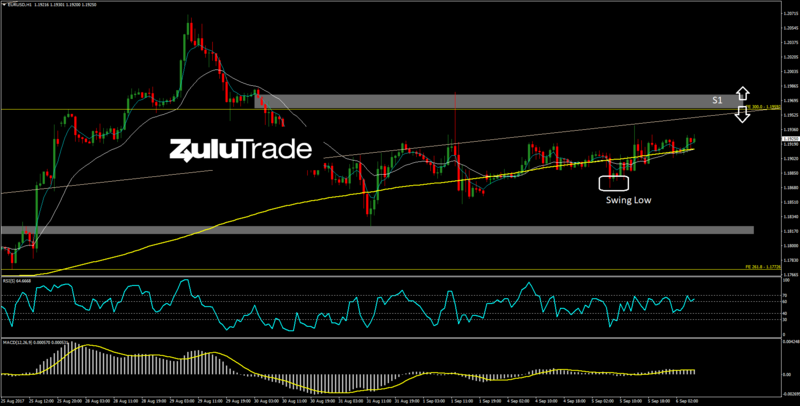 This level may offer an intraday buying trade setup. However, the trend bias is bearish, so traders should be cautious. The 200 SMA is declining and sellers may have selling trade setups on any setbacks on the SMA. USDCAD maintains its bearish daily bias. 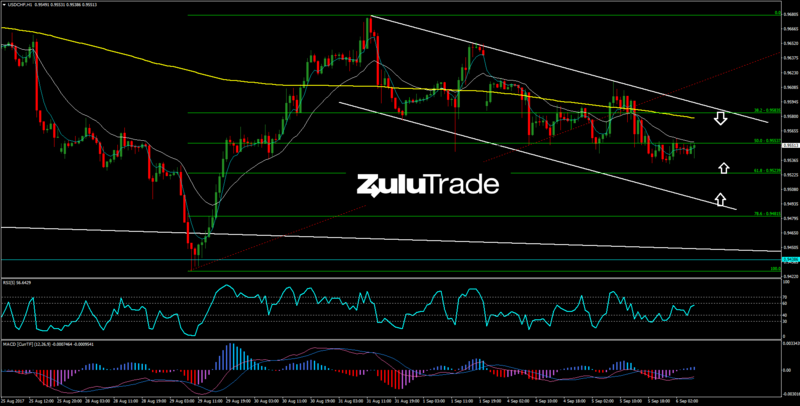 There is a potential bullish divergence on MACD, which sellers need to take in consideration. Reviewing the hourly timeframe, the pair is creating a double bottom but it needs to break the neckline at 1.242 to activate it. We have noted a demand zone close to 38.2% Fibonacci retracement level where sellers may have another bearish trade setup. AUDUSD keeps the positive momentum on daily while it’s putting in a series of higher lows and higher highs on the hourly timeframe. Therefore, any intraday setbacks could be buying opportunities. As long as the price stays above 200 SMA, the intraday trend stays bullish. 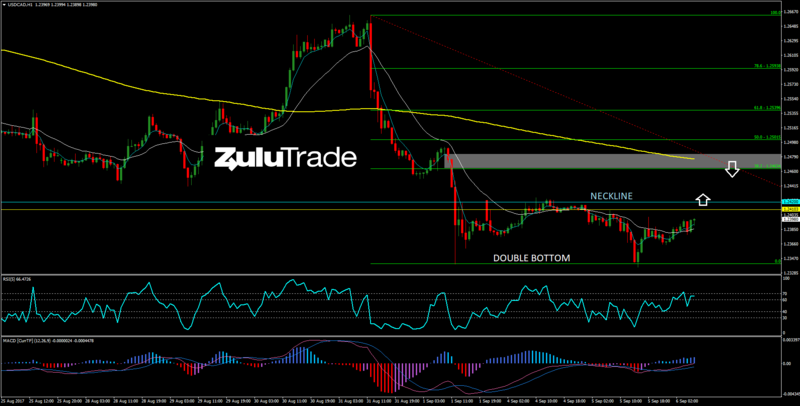 NZDUSD had an explosive upside more yesterday. Therefore, due to this positive momentum, buyers may have the advantage today. We have noted two interesting demand zone where bulls may step in and push price higher. If the price goes below 0.7159, then it will negate the positive outlook of the pair.